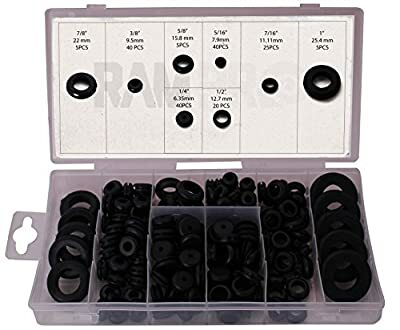 RamPro 180 Piece Rubber Grommet eyelet Ring Gasket Assortment, Set of 8 different sizes, with See-through Divided Organizer Case – Ideal for Automotive, Plumbing, and PC hardware/Piano repair etc. Product prices and availability are accurate as of 2019-04-17 12:02:56 EDT and are subject to change. Any price and availability information displayed on http://www.amazon.com/ at the time of purchase will apply to the purchase of this product. Ram-Pro Pack of Rubber Grommet ring's with multiple sizes: 5 pc of 1", 5 pc of 7/8", 5 pc of 5/8", 20 pc of ½", 25 pc of 7/16", 40 pc of 3/8", 40 pc of ¼", 40 pc of 5/16". 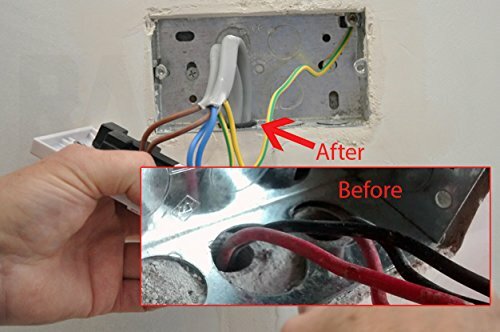 Rubber grommets are commonly used to protect or cover holes and to protect cables or wires from sharp corners or edges. Rubber grommets are also important parts in automotive applications. They are used to protect lines, wires and cables from chafing or grazing on rough surfaces. It can also effectively reduce vibration and are used to seal different important under-the-hood and body applications. 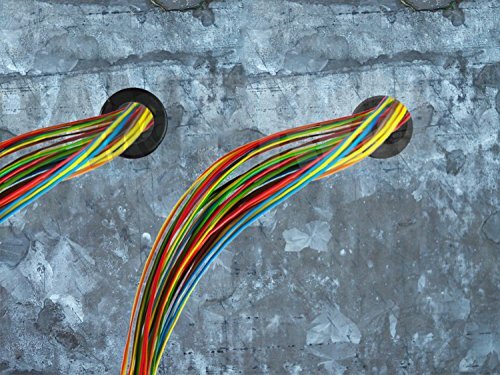 The Ram Pro Rubber construction Grommets are non-flammable, weather-resistant, also less affected by the negative effects of UV light and ozone, high heat resistance, more durable and tear-resistant, It does not dry up or crack and come lose easily, grommets are more resistant to oil, phosphoric, hydrochloric, sulfuric and Saltpeter acid, It can also handle bigger temperature spans than other types of grommets. An excellent set at a reasonable price. 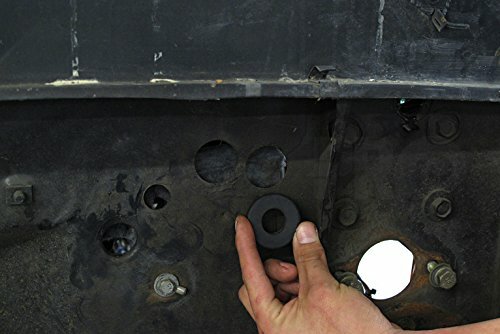 Rubber Grommets are quicker and easier to install since they can be placed on one side only. 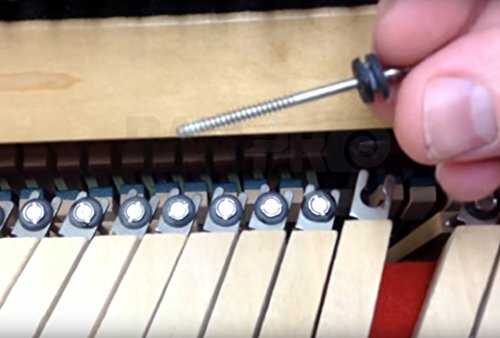 It is not necessary to reach the opposite side of the installation to attach a lock nut, the ideal Grommet to use when space is restricted since it does not protrude and eat up a lot of space, more economical and practical solutions and ergonomically better since you don't have to manually screw them into place. 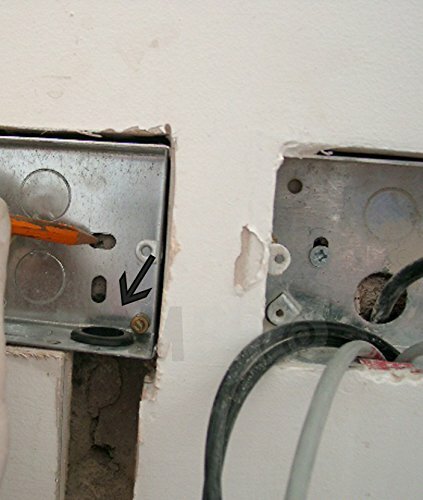 When installed, the opening remains sealed until the membrane is pushed out. USES: For your Computer, Piano, Car, SUV, Truck, Home, Boat, RV, ATV, UTV, Golf Car, and most wiring like for under hood vehicles mechanism, window/Windshield washer/wiper motor, heating/cooling, Alarm, Remote starter, Keyless entry, OnStar, Dash/Rear view Backup camera, Radar detector, Wi-Fi, Bluetooth, Entertainment system, Stereo, Horn, Audio speakers, Radio/cassette/Cd/MP3/DVD player units, USB port, GPS navigation, Fog/Headlights, landscaping wiring, exterior/interior lights And more.